Windows Phone 7: Did You Get Yours? First off, a big thank you to all who came by my Windows Phone 7 launch event at the TELUS flag ship store located at the Eaton Centre. 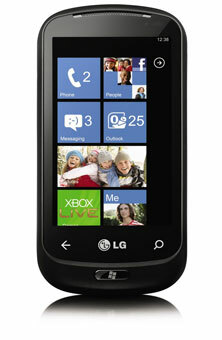 Congratulations to all those who walked away happy with their new Windows Phone 7 device, either the HTC 7 Surround or the LG Optimus 7, and their new XBOX 360. Currently Rogers has very limited quantities available for purchase online. In store availability will happen in the next few weeks. TELUS has limited quantities available for purchase online and in store. More quantities will be available shortly. Bell has limited quantities available for purchase online and in store. More quantities will be available shortly. « Would You Like A Side Of XBOX360 With Your New Windows Phone 7 Device?